A lifelong socialist, George Fernandes was minister in two ideologically opposite governments. In 1977, he drove out Coca Cola from India. In 1999, George Fernandes oversaw the Kargil war as Vajpayee's Defence Minister. George Fernandes the Giant Killer. Striking George. Rebel Without A Pause. 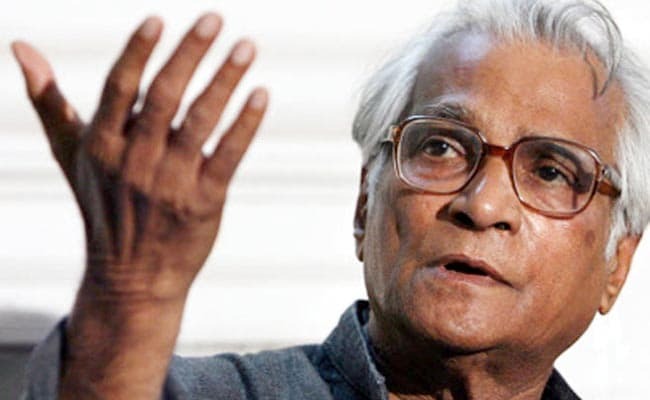 George Fernandes embodied the idealistic and swashbuckling politics of the 1970s, when the socialist movement was gaining popularity in India carried along by waves of disenchantment with corruption and poverty. A lifelong socialist, George Fernandes was minister in two ideologically opposite governments. In 1977, he drove out Coca Cola from India. In 1999, he oversaw the Kargil war. His political adventurism saw him join the BJP-led governments led by Atal Bihari Vajpayee in 1998 and 1999; he was dead opposed to the BJP's ideological mentor RSS or Rashtriya Swayamsevak Sangh. In 1999, he oversaw the Kargil war as Vajpayee's Defence Minister. Born in 1930 to a Mangalorean family, George Fernandes decided when he was in Class 10 to quit school and become a priest. Then as he was training to be one, he was distracted by trade unionism. 19-year-old George Fernandes went to Mumbai in search of a job and spent many nights on the streets and footpaths. He worked as a proof-reader in a newspaper when, inspired by Ram Manohar Lohiya, plunged into trade union politics and fought for workers' rights, wages. Those were the years of "Striking George". Elected corporator twice in the Bombay (now Brihanmumbai) Municipal Corporation, in 1967, George Fernandes contested the parliamentary election against Congress veteran SK Patil in Mumbai and managed to win his first ever Lok Sabha seat. "Striking George" was officially "George the Giant Killer". In 1974, when he was the chief of the All India Railwaymen's Federation, his famous railway strike crippled the nation for more than two weeks. It was seen to be among the factors that led to the 1975-77 Emergency, during which the Congress government led by Indira Gandhi severely restricted fundamental rights and jailed thousands of opposition activists. Hunted by the police during the Emergency, George Fernandes went into hiding as a Sikh man, masking his face with a beard and turban. The anti-Emergency crusader was caught and jailed over the "Baroda Dynamite case", which involved a plot to smuggle dynamite and blow up a dais hours before Indira Gandhi was to address a meeting in Varanasi. From jail, George Fernandes contested and won the national polls from Bihar's Muzaffarpur. So when the Janata Party took power with Morariji Desai as Prime Minister in 1977, George Fernandes became the industry minister. It was during that assignment that he forced soft-drink giant Coca Cola out and left people to homegrown alternatives for almost three decades. He was later Railways Minister in 1989 in the VP Singh-led National Front government. His final stint as minister in the Vajpayee government was stained by the coffin and Tehelka scandals. 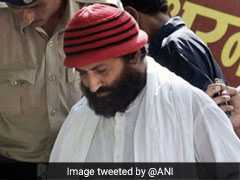 He was forced to quit as Defence Minister over the Tehelka scandal, which involved an expose on senior BJP leaders and defence ministry officials accepting bribes to push a defence deal. In the last few years, George Fernandes had been mostly bed-ridden, losing himself, bit by bit, to Alzheimer's disease. A pale shadow of the rabble-rousing George of decades ago, who considered nothing impossible.